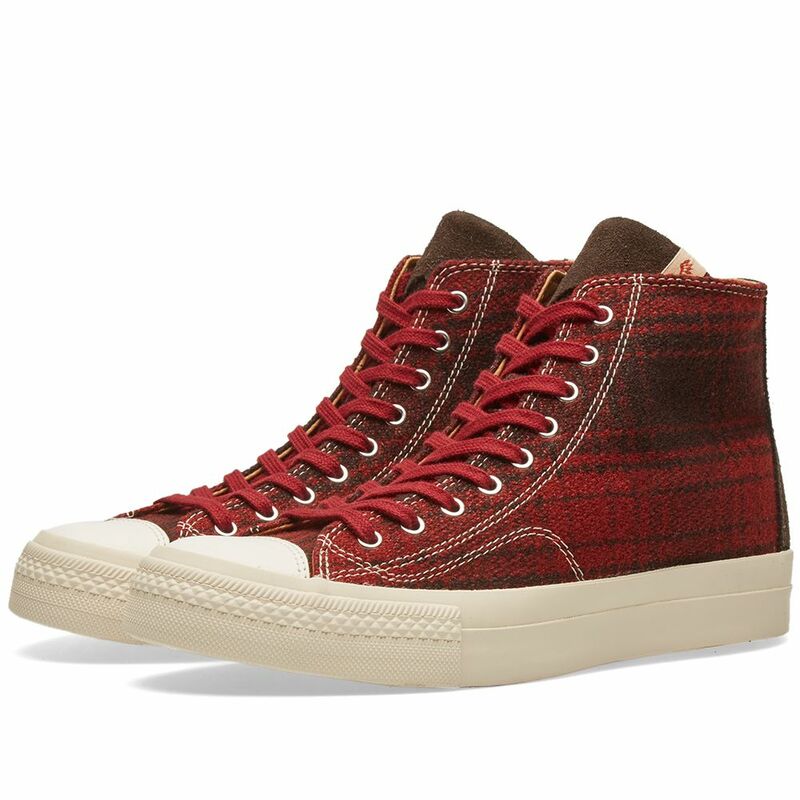 Saint Laurent Joe Distressed High Sneaker White & Red | END. 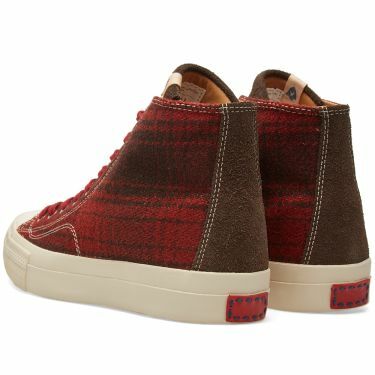 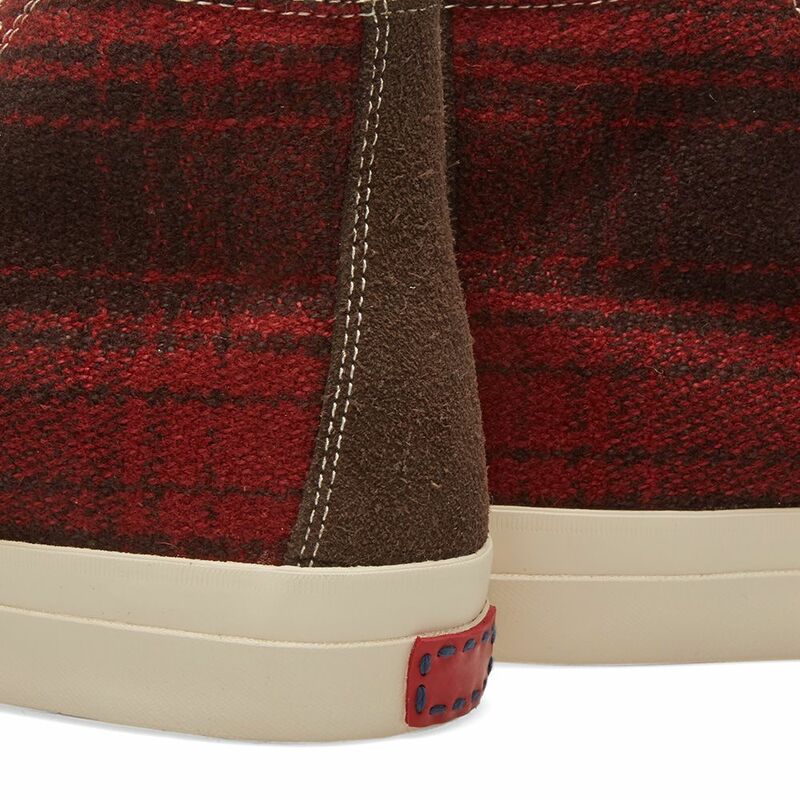 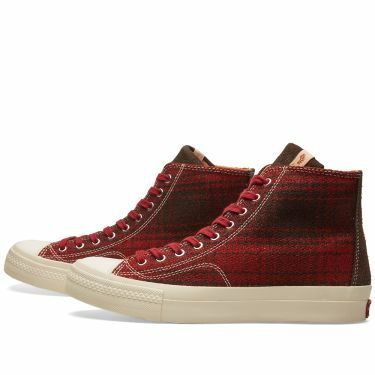 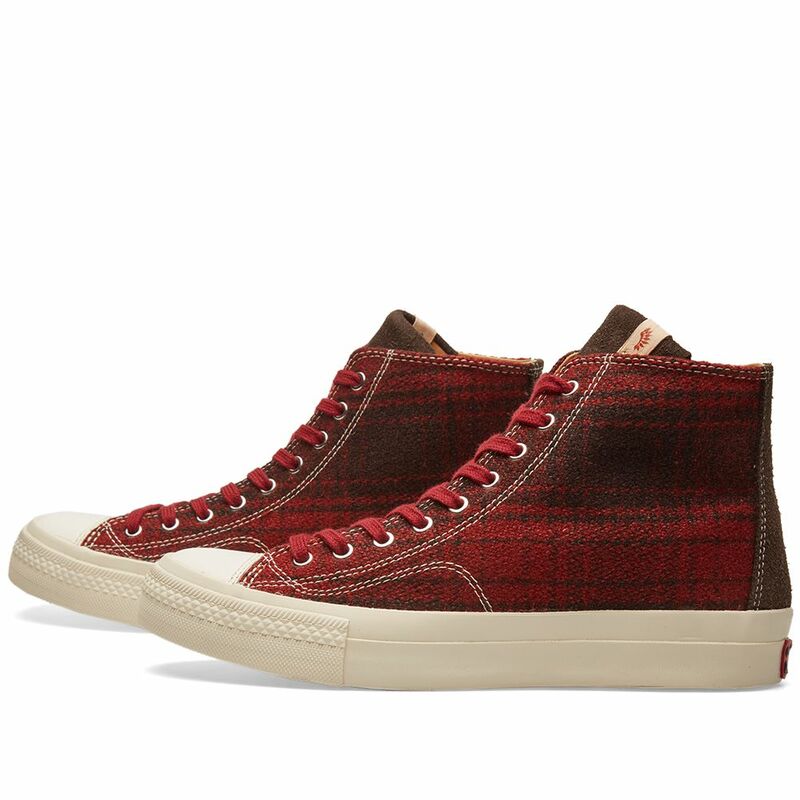 Shining the spotlight on Americana style with winter essentials boasting distinct Japanese sensibilities, Visvim revamp the hi-top baseball sneaker in this seasons rendition of the Skagway. 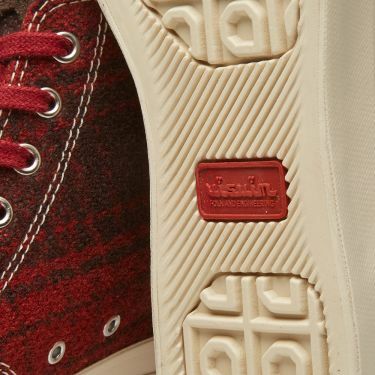 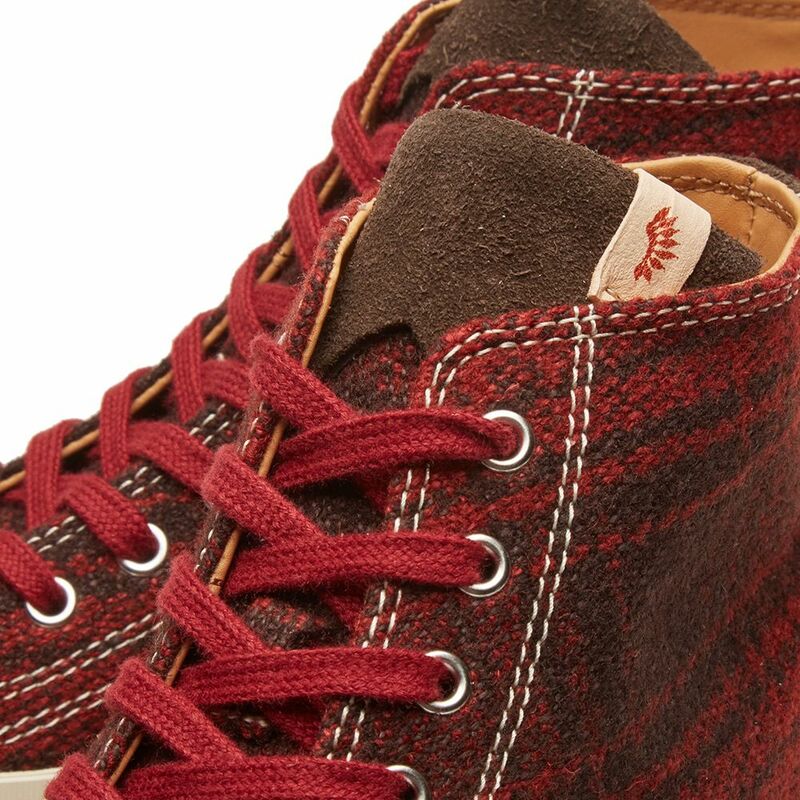 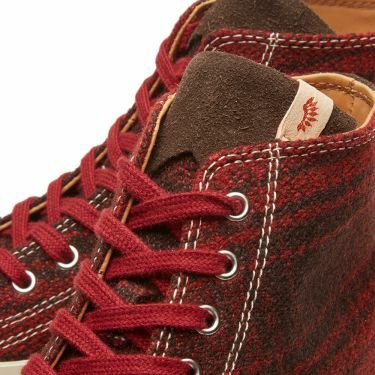 The influences of Native American style sees the uppers updated with a buffalo check, finished with tonal laces and the fundamental rubber shell toe and durable rubber sole.